We are delighted to welcome you to the Leighterton Primary School website. As a small, happy, village school, all staff have a personal knowledge of every child, and there is a real family atmosphere. Our experienced and dedicated teams provide the highest standard of education and our school offers a rich and diverse curriculum. We pride ourselves on providing creative learning experiences which challenge and engage pupils. Many children attending our school come from families who have a long association with us, some as pupils themselves. Our links with the Leighterton community and beyond enrich our children’s lives in many ways. We recognise that everyone is special, and our curriculum is shaped by a philosophy that encourages everyone to flourish, both academically and personally. Keep up-to-date with all the latest news from Leighterton. Find out when events are happening. Don't miss out! Find out about and see what we have been doing in school. Information and photos of our recent visits and visitors. 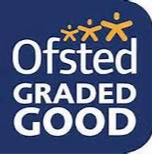 We are all committed to doing our very best to make your child’s time at our school as happy and productive as possible, ensuring that their primary years are a time of developing self-confidence, enquiring minds and learning the skills for their future. They are the first steps in a child’s journey through the world of learning. In addition to developing language, mathematical, scientific and technological skills, children are encouraged to build confidence, develop self-reliance, learn to make decisions and develop the ability to articulate feelings and ideas. We attach great importance to the development of children’s social skills in their relationships with each other and adults, encouraging them to be sensitive to the feelings and needs of others. We have high expectations of ourselves at Leighterton, and are proud of the exacting standards we achieve.